Buy accessories for Huawei Y5 2018 from our Online Store. Protect your Huawei Y5 2018 from damage with our top quality Tempered Glass LCD Screen Protector Film Guard. Tempered Glass LCD Screen Protector Film Guard guarantee all-round protection of your phone from daily wear-and-tear. Moreover, the screen of your smartphone will remain safe from dirt, dust, and scratches. Consequently, your valuable device will last long. This glass protector fits perfectly due to its precise cutout for the camera, Mic, and home button. In conclusion, the screen of your mobile phone will remain safe because of this top quality glass protector. We offer stylish and durable protection for Huawei Y5 2018 with Hanman Wallet Leather Card Holder PU Case Cover. Hanman Wallet Leather Card Holder PU Case Cover ensures 360-degree protection of your Huawei Y5 2018. This case is not only lightweight but also stylish and durable. As a result, you will get superior protection against scratches, bumps, dirt, grease, and fingerprints. The case cover has precise cut for the camera. In the final note, this case cover not only provides protection but also increases the beauty of your smartphone. Get Ultimate Charging Solution of your smart device by Car Charger Adapter, USB Data Sync Cable and, Wall Charger Power Adapter. CAR CHARGER ADAPTER from our Online Store provides solution about the low charge of your Huawei Y5 2018 while you are on the car. This is a highly efficient and fast charging adapter. Moreover, it has four charging ports hence you can charge four devices at a time. 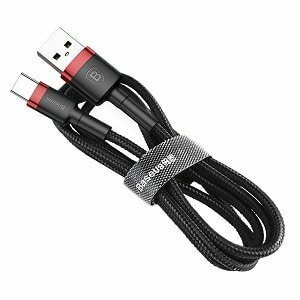 Micro USB 2.0 Data Sync Cable Cord for Huawei Y5 2018 provides you charging solution of your smart device while you are away. This data cable can also be used to transfer any type of data from mobile to computer. In addition, it has the functionality to charge your smartphone from a wall charging adapter. Finally, you can bring this cable anywhere you want. FAST CHARGING POWER ADAPTER from us provides a quick charging solution for Huawei Y5 2018. This Charging adapter charges very quickly hence you don’t have to wait a long time for charing. Moreover, it has four charging USB ports thus four devices can be charged time. In addition, the built-in overheat protection function keeps your mobile phone safe. We Offer FREE SHIPPING Australia wide. We also offer express post and registered post facility. As a result, all our customers have more choices to personalize their shipping choice.